At the end of the attack step, spin each character engaged with Black Widow down 1 level (this happens before damage clears). If a character has a game effect that is triggered when the character is “engaged” with another character, then that character must actively be in combat (either as attacker or blocker) with the opposing character when the game effect is supposed to occur. If that character is removed from combat before their game effect would trigger, that character’s effect will not occur. Scarlet Witch: Avengers Disassembled: While Scarlet Witch is active, all characters get -2A and -3D. 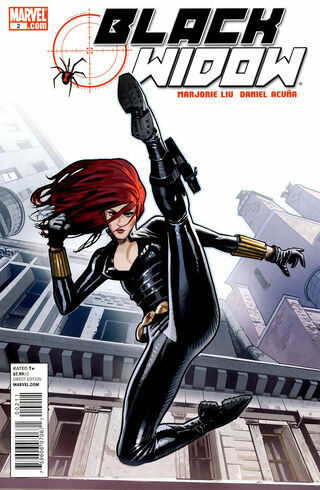 ^ Black Widow Vol 4 2. Marvel Wikia Database. Retrieved 15 August 2015.